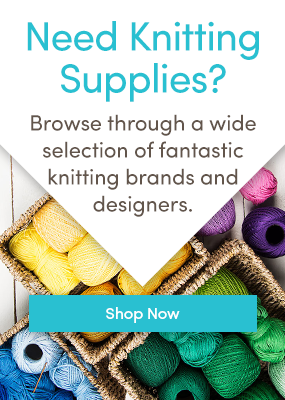 Cascade Yarns‘ fabulous range can be used for myriad projects and patterns – it includes everything from cotton to alpaca to superwash is available in a variety of weights and an incredible rainbow of shades! We’ve gathered 10 of the cutest patterns by independent designers that use Cascade Yarns to show you just how versatile they are! Lippo Hat by Yellow Mleczyk is a simple unisex hat best for an intermediate knitter, or perhaps a beginner that’s feeling brave. Using Cascade 220 Superwash, this hat uses increases, decreases, and garter details to create a beautiful stitch pattern. Meriwether Hat by Alexandra Tinsley features a garter edge and eyelet details. It uses Cascade 220 Superwash to make a slouchy, cool pattern that can transcend seasons. The Hooded Capelet by Ruth Maddock is a cute little piece with a lovely colorwork detail. Cascade 220 Superwash Aran gives this garment a soft feel and colorful look. The Inglenook Shawl by Gabrielle Vézina is a pretty springy piece that’s sophisticated and warm. Using Cascade Ultra Pima Fine keeps this piece breathable and soft. Harvest Moon by Aimee Alexander is a stunning lace blanket that can be worked in several different sizes. Knitting it in Cascade 220 Superwash means it’s both comfortable and easycare! These Tangent mitts by Katya Frankel are at once simple and beautifully detailed, with columns of rib surrounding inset thumbs. Use Cascade 220 Sport to a pair of warm, cozy gloves. Lavinia by Tamara Moots is a soft, light tee with a detailed yoke. Knit in Cascade Ultra Pima Fine, it can be made tunic length or shortened if desired. Autumn Foliage by Monika Sirna is a lovely A-line skirt with lace detail and contrasting trim. Using Cascade Superwash 220 Sport will allow you to wash the garment, and there are plenty of colors to choose from. These Nesting Felt Bowls by Claire Fairall are a cute, quick project that will look great in any home. Use Cascade 220 to hand felt and shape these bowls into exactly what you want. The Rainbow Dog Coat and Legwarmers by madmonkeyknits will make your pooch the most fabulous in town. Using Cascade 220 Superwash Sport in an array of colors, you can make your best friend stand out (and hey, Pride parades are coming up soon!). What’s your favorite Cascade pattern? Tell us in the comments! Looking for more inspiration? Follow us on BlogLovin’ and never miss a post. As an old lady returning to knitting after a 25year absence ,I’m finding it hard going,not being computer literate or owning a mobile phone , I do have an I pad which I love struggling with . I would like to have access to all these blogs but haven’t a clue how to . Lately an iPad can be frustrating with some of these knitting/yarn websites. For instance, Allfreeknitting.com recently has frozen the thing and I have to restart. Anyway, open Safari from the main screen, type knitting yarns or patterns or whatever you are looking for in the browser. This will produce a series of sites from which you can choose. Eventually you’ll realize what is going on. Good luck.